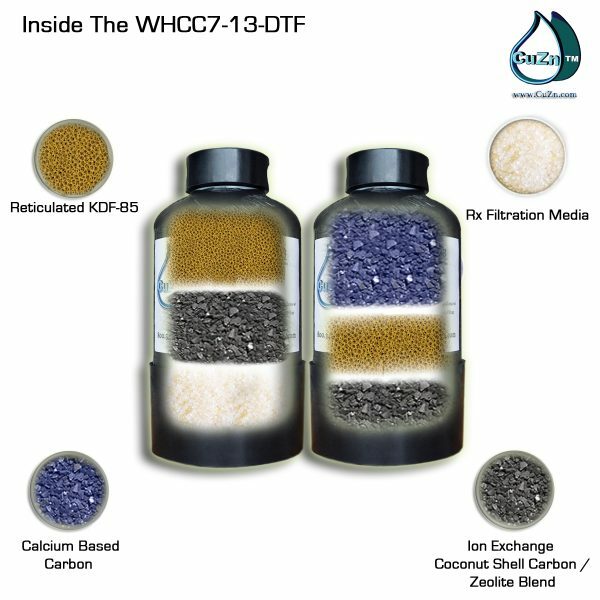 The WHCC7-13-DTF process utilizes our proprietary patented Reticulated KDF-55 Minerals (Copper-Zinc), high purity acid washed coconut shell carbon, zeolite (clinoptilolite), Rx Filtration Media and calcium based carbon (bone char), all of which have been tested to NSF standard 42 and 61. 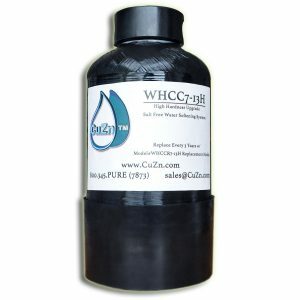 SNRF Ion Exchange Coconut Shell Carbon is an adsorbent media that target the volatile organic compounds (chlorine, THMs, disinfection by products, herbicides, pesticides, etc). 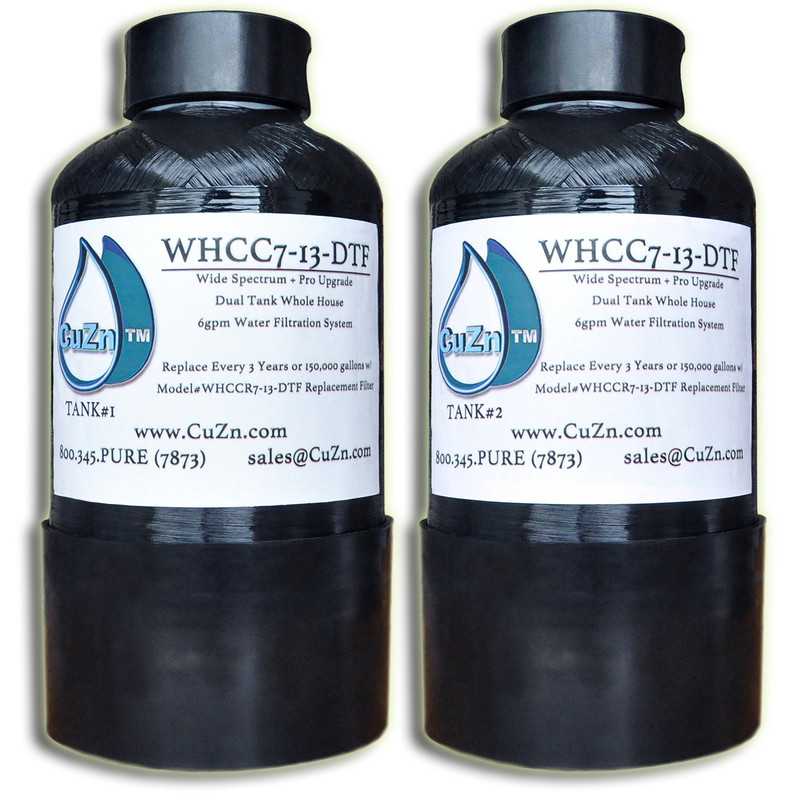 This carbon is supercharged with an internal modification for ion exchange properties for soluble lead adsorption (Ion Exchange Capacity is 130mg/g). The heavy metal reduction capability is redundant given that reticulated KDF-55 is also incorporated in to the system design, guaranteeing 99% removal of soluble lead (even at high flow rates). 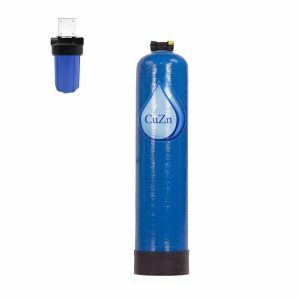 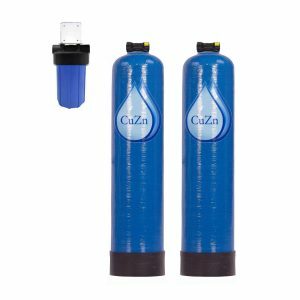 Click here to learn: What organic contaminants does Activated Carbon Filter?